Milk is very nutritious food that contains most necessary vitamins, minerals, and proteins. People all over the world can derive their daily nourishment from this wholesome food. As per international milk production reports, India occupies the first position in milk production. Around 19% of total milk in the international market is supplied from India. Thus, opening a dairy farm can be highly lucrative. A dairy farm can be categorized in three sizes. If you have 30 or more cows or buffalos, then your farm will be categorized under large scale milk production business. In case the number of cows or buffalos is anything between 15 to 20, your farm is of medium scale. 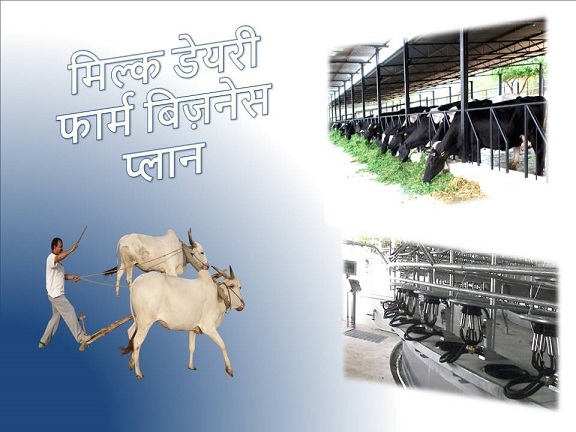 The cost of opening a large scale and medium scale dairy farm can be around 30 lakhs and 10 lakhs to 15 lakhs respectively. The cost includes the purchase of animals as well as machinery and equipment purchase. But candidates who do not have so much cash at hand, can start their milk business with as many as 2, 3, or 4 cows and buffalos. Fewer animals mean less milk production. But if you can sell the milk strategically, then you will end up making around Rs. 5000 to Rs. 10000 profit initially. Planning for the dairy business – Dairy business is lucrative, but if you are not careful about the planning process, you will not be able to attain success in the long run. So, proper planning, information and preparation will take you towards your final aim. Structure of your business – The dairy industry can be based on various business models. Small scale ventures do not require any set structure. In case you desire to open a company, then ownership models come to the forefront. Market research and target clients – Market research will assist in focusing on the target customers. It will also provide information about your rivals and ways in which you can oust them. Arrange funds for the startup – Whether it is small, medium or large scale dairy farming, you will require some funds for the setup. In case you do not have the money, you can take it as loan from banks or other financial organizations. Selection the location – A lot depend on the location of the dairy farm. If the shed is far from necessary amenities, then you will have to face issues and incur extra expenditure. Construction of the facility – Once all the arrangements are complete, it is time to start construction of the animal shed. Whether it is open or closed, care must be taken during the erection process so that animals can be kept securely. Employ trained people – When the construction is complete, you need to hire experienced men. From taking care of the animals to collection and sale of milk, all will be done by these people. Purchasing animals – Once you have necessary manpower, it is time to purchase the animals. Whether you purchase cows and buffalos from farmers or registered government markets, it is best to take the assistance of an expert to detect the healthy and quality animals. Setting up machines – Apart from refrigerating the collected milk, you need to set up machines, which will come in handy to prepare and grind the fodder, wash the facility, wash the animals, maintain hygiene of the place and so on. You need to keep grains and medicines in separate areas as well. Milk collection – Milk collection is a trick business. In India, milk collection is done manually. You will require trained hands to collect milk from animals. Special suction machines are also available in the market, which make the process fast and effortless. Promotion and sale –Once the milk collection is complete, it is time to sell the produce in the market. In case you have a small scale business, then you can sell raw milk directly to bigger concerns or to individual clients. If you have a milk plant, then you can package the milk or make other milk based products, and launch these in the market, under a separate brand identity. The number of employees you need will depend on the size of the dairy farm. In case you have five animals, you can run the daily affairs with as few as 2 to 3 trained and experienced individuals. If you have a medium farm, then you will require the assistance of 5 to 8 people. For sheds with 30 or more animals, you must employ 10 to 15 labors. The price of milking cows and buffalos depends on their breeds. In case you want to start your own dairy farm, you can purchase animals from the government registered animals haats o fairs. You can also purchase cows and buffalos from village fairs. Attaining information from portals like https://epashuhaat.gov.in/ is also possible. Government registered animal markets are safer options, but the price may be a bit high. On an average, the cow or buffalo can cost anything between Rs. 30,000 to Rs. 80,000, depending on the quantity of milk it produces daily. How to select location for dairy plant? Adequate area for construction of shed – The location for the dairy farm must be selected depending on the number of cows and buffalos you need to station. Apart from the shed, you need enough area to construct rooms to keep supplies. Steady water supply – Cows and buffalos drink 30 to 50 gallons of water daily. It increases during hot months. Apart from this, you need to give them daily baths and clean the area as well. You must have access to adequate clean water for proper maintenance. Uninterrupted electricity – During hot months, you need to keep the cows and buffalos under fans. Milk needs to be stored in refrigerator. For these, you will require easy access to steady electricity as well. Proper roads and transportation facilities – Make sure the dairy farm location can be reached easily via cars and other vehicles. The presence of good roads is a must for bring supplies and milk in and out of the farm. How much profit can one make from dairy farming? As mentioned earlier, both small and large dairy farmers can make a good profit from this business. Depending on the total milk production and your sale strategies, even a small dairy farmer will be able to bring home as much as Rs. 8000 to Rs. 10,000 profit. Over the years, the Indian milk market has registered a growth of 3.1%. Around 146.31 Million tonnes of milk in produced in India on an annual basis. In India, the milk price fluctuates from place to place. On an average, each liter of milk costs anything between Rs. 35 to Rs. 40. So, dairy farmers can make around 12.5% to 16% profit on a monthly basis. Direct to homes – Traditional milkmen, who have few cows, sell milk to a specific number of clients only. They reach the customer’s home early in the morning with their milk can, and pour the amount the clients require. But due to the increasing demand for packaged milk, these traditional milkmen not operate in rural areas now a day. In milk shops – Independent milk producers can also sell their product at the nearby milk shop. The shopkeepers collect milk daily and then sell it accordingly. Here, the shopkeepers make most profit. In sweet manufacturing shops – Sweets are manufactured from milk. Sweet manufacturers and sellers collect their daily milk requirements from independent dairy farmers. Small scale milk producers can directly sell their products at these shops. In tea and coffee stalls – Both small and big tea and coffee shops, especially the roadside stalls use liquid milk. To maximize their profits, these stall owners purchase liquid raw milk from small scale milk dairy farmers. In restaurants – Several dishes require the use of milk. Thus, restaurants are potential places to sell your produce and make a good profit. In hospitals – Milk is the best food for patients as it is easy to digest. Thus, hospitals require a high quantity of milk to meet the requirements of their patients. Sealing a deal with such medical centers will give small scale dairy farmers a steady market. In biscuit manufacturing factories – Biscuits also require powdered milk. Big biscuit factories purchase liquid milk and then convert it in powered form in special machines. Most biscuit plants, based in rural areas, collect raw milk from local dairy farmers. Big milk manufacturing factories – Amul is the biggest milk brand in India. It had its own dairy farms but it also procures milk from rural milk farmers. It eliminates middlemen and milk producers get good price for their product. If you are a small scale milk producer, then it is the best way to sell your product. How to promote the business well? Personal promotion – Individual milk sellers can create a representation in the market via work of mouth. Talking to customers will give you an idea about milk demand. It is mainly applicable for the milkmen who go door to door and sell milk on a regular basis. With time, your customer base will expand and you can increase your business as well. 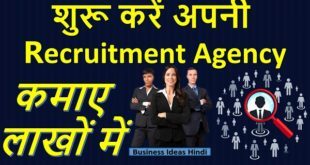 Join milk selling organizations – There are several bodies, which look after the interests of milk manufacturers and sellers. Both small and big milk production units can join these associations. It will give them contacts as well as adequate exposure. Online promotion for packaged milk – Another promotional technique is to post online advertisements. It will come in handy if you sell packaged milk only. Lose milk sellers will not benefit too much from this. Posters and handouts – Small and medium milk manufacturing and packaging units can print and distribute pamphlets to make people aware of their brands. Traditional advertisement channels – In case you have medium to large scale milk production unit, you can take the help of newspapers and agricultural magazines as well. It is appropriate for those who not only manufacture milk but also sell packaged milk. It will help to create a market for your product. If you have only three or four animals in your shed, then there is no need to get any formal license. For small scale dairy farmers, there is no rule to attain any permit. But in case you want to set up a medium to large scale milk company, then you need to get trade license, permits from FSSAI, and VAT registration papers. Apart from this, maintaining bank accounts and tax documents is also a must. In case you want to launch your own brand, you must register the name and logo of the company as well. Food and maintenance expenditure – If you do not give good food to the cows and buffalos, they will not produce good quantity and quality of milk. Unfortunately, the cost of organic food in India is high. It forces the dairy farmers to depend on low quality food. The shed maintenance is also expensive. Lack of proper subsidy from the government makes the process more taxing on farmers. Faulty breeding techniques – Not all breeds produce the same quality and quantity of milk. Pure breeds are better at milk production. Selection of good breeds is a challenge. In India, faulty breeding and cross-breeding leads to several issues. Thus, cow and buffalo breeders must refrain from faulty breeding practices. Lack of trained labor force – It is not easy to maintain a dairy farm. Proper training is necessary for the upkeep of animals’ health, milk production, hygienic packaging and sale. Most people involved in the milk production business lack this knowledge. Gram Panchyat must take initiative to offer necessary training to rural folks. Presence of middlemen – Dairy farmers often miss out on the high profits due to the presence of the middlemen. The dealers purchase milk at low rates from farmers and sell it to milk companies at higher rates. Government intervention is a must to stop this. Malpractices of milk producers – Some dairy farmers try to increase their profit by increasing the quantity of milk by adding water to it. Proper checks must be done by authority to keep this at bay. Animal manure – The cows and buffalos, stationed in the cow sheds produce a significant amount of dung on a daily basis. It is not healthy to dump it outside the shed. It will not only pollute the air but will also become the breeding ground for germs. Thus, proper manure disposal is a must. You can get in touch with fertilizer companies. They will collect the dung for fertilizer production and pay you for the manure as well. dung cakes can be made from the manure, which are used as cheap fuel in rural areas. Residual fodder – The cows and buffalos do not eat everything part of the food. You must remove the husk of cereals. Good dairy farms offer corn to the animals, but not the corn husks are not ideal fodder. Proper disposal of these husks can be done by using them for organic fertilizer production. Dirty water disposal – Apart from solid excrete, the animals also urinate. The ammonia in the urine is bad for their health as well as the ground. Thus, proper runoff area must be maintained to allow the dirty liquid to flow into drains. The water used to wash the animals and the shed must also be channelized to flow into drains. Big dairy farms can install water treatment machines to minimize the harmful effect of these liquids. Compost manufacture – Most of the wastes, produced from dairy farms can be used to produce compost fertilizer. To do this, you need proper information and training. It will maintain the potential of the fertilizers. These ways will prove to be appropriate for waste management in dairy farms.